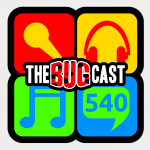 This week on The Bugcast: a relatively waffle-light episode, with an update on our November projects, and we play 8 tracks of Creative Commons music! The next show will be episode 541, which may be replayed in the chatroom on Friday 30 November 2018 at 21:30-ish UK time (GMT/UTC). Recently discovered your podcast and it has quickly become one of my favourite, and it has a great selection of good music! Thanks Gary, really glad you’re enjoying it! Wow! I have to say thanks for introducing me to LukHash. Their album Ghosts is absolutely amazing, and not the sort of thing I normally listen to, but this is a proper trip down chip-music memory lane for me, being an 8-bit gamer back in the day.